2019 will be the year that RCS moves from tech punchline to reality. One never knows if a Google initiative is real or a lark (and to be fair we still don’t know), but Google’s efforts with RCS are coming to fruition. January isn’t even over, but 2019 appears to be the long waited year of RCS. Verizon, T-Mobile, and Sprint have all announced limited support of RCS. Google now joins too with support on its own Fi network. RCS has suffered from a chicken and egg paradox. The carriers won’t support it because there’s no endpoints. There’s no endpoints because the carriers don’t support it. So, the solution must involve both, and that’s what Google has done. Regarding the carriers, Google has lined up support from 55 carriers around the world. Not just to support RCS but Google’s specific implementation. Regarding the clients – Google’s answer is to leverage its huge base of Android users. Google is making RCS Chat available to any Android phone via download (RCS Chat). It will automatically enable it for its Fi customers on Pixel phones, the Moto G6, LG V35, LG G7, and Android One Moto X. The other carriers have a more limited range of supported devices – at least for now. Note that RCS Chat is not the same as Hangouts Chat, and neither of these should be confused with prior Google messaging initiatives including Hangouts (Classic), Google Talk, Hangouts Meet, or Allo — all of which are being phased-out. RCS is so frick’n obvious and SMS is so frick’n dumb that it’s just a matter of time, and that time seems to be 2019. Of course, people have been saying that for about a decade. For enterprise comms, the big winners will be Twilio and Vonage and CPaaS in general. I’ve become board with simple text notifications, I want more and RCS can do it. 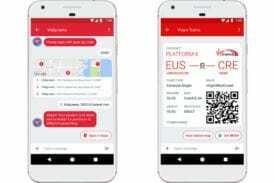 For example, with RCS an airline can send me a boarding pass. Today they send me an SMS me with a link to a boarding pass rather than an actual pass and barcode. RCS makes SMS much more useful. There’s going to be a lot of apps that want to access the features that RCS enables. 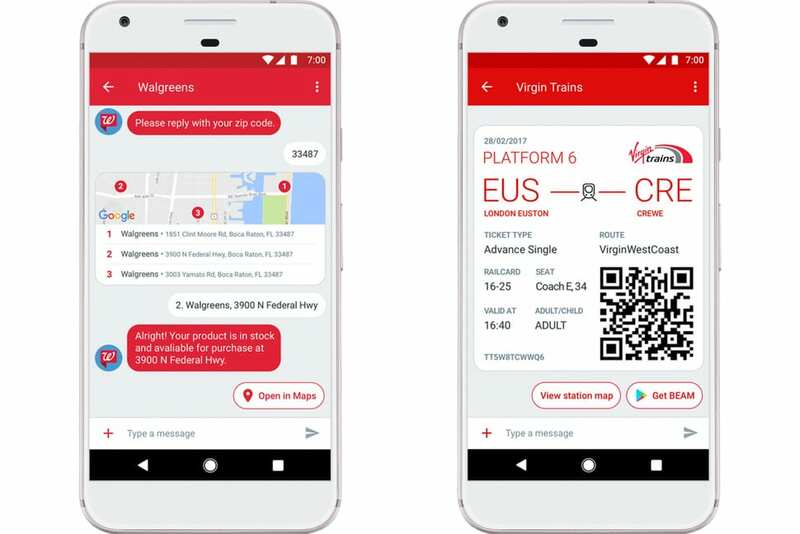 Google as recruited both Twilio and Vonage, and they have agreed to provide RCS APIs. The drama to watch is if Apple will support it. A few years ago, the consensus was an emphatic no. Apple has iMessage which is far superior than SMS. It’s a powerful service, and the cost of admission is an Apple device. Android users don’t have a comparable club, so if they want high end messaging they need to join another club – such as WhatsApp, Messenger, Line, and WeChat. While these clubs span both iPhones and Android devices, they are not universal like SMS. As a result, businesses are forced to use SMS, the only universal messaging app and the lowest common denominator in terms of functionality. Metcalfe’s Law: A network’s impact is the square of the number of nodes in the network. More users, more impact. iMessage is losing ground to other messaging services. It can retain its differentiated value with Apple customers because iMessages are encrypted. Messages sent to RCS users would pass through a gateway and sent in open text (as is the case with SMS). Microsoft Did It: Microsoft has a history of walled gardens, but has become more open lately. Microsoft Word, for example, is now fully supported on Android and it’s benefited Microsoft. Apple just announced iTunes programs can be viewed on Samsung TVs (instead of just AppleTV). Walled gardens don’t have to be a binary thing, there’s degrees. Google also recruited Microsoft as a surprising RCS ally. RCS is Rich Communications Service designed to be the next generation of SMS/MMS. next gen SMS. It’s more like Messenger and iMessage than SMS, but ideally will be as universal as SMS. RCS increases character limit of messages from 160 to 8000, supports read receipts, and provides a composing indicator. RCS supports high quality media such as photos and barcodes. It does not support encryption. The switch to RCS will take some time as each carrier and endpoint needs to support it. To manage this, an SMS gateway exists between SMS/MMS and RCS. Messages will get though, but the features will be lost. The full transition will likely take another decade, but friends and family may experience the benefits of RCS much sooner — like this year.